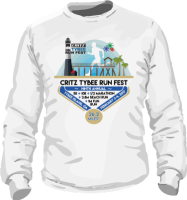 2017 Official Race Shirt — $12.00 ea. Soft 100 % cotton long sleeve, unisex t-shirt. 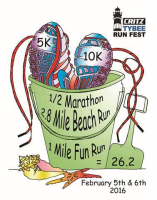 2016 Official Race Shirt — $12.00 ea. Reusable race bag — $5.00 ea. Reusable race bag, good for dry cloth, water bottle and sports items. Be environmentally friendly and get your reusable bag.